This is a great article about how you can tell if you are having problems with sinus infections, or if it is an allergy issue. This is one of the most confusing things for not only patients but their providers. The symptom overlap is pretty generous here and it is easy to see how you could get fooled. It is also important to remember that these problems are not always distinct. For instance, it is very common to have issues with allergies initially that lead to sinus problems. It is best to think of the allergies as a condition that causes inflammation in the sinonasal tract. 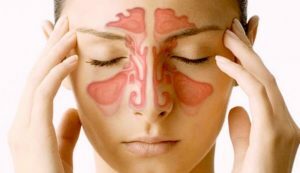 Once the inflammation begins and takes over the narrowing of the sinus openings gets to a critical point. Once that point is reached the normal cleaning process of the sinus cavities is interfered with and then an infection forms.